Club Penguin Cheats by Mimo777 Club Penguin Cheats by Mimo777: Club Penguin Puffle Adventure Reviewed By You! "The coolest adventure I have had with a puffle was, my pink puffle, named pink, and I went aqua grabbing. That was so much fun we went exploring everywhere. We saw a giant clam and slipped away with it's big pearl, We cleaned up soda barrels, we earned a bunch of coins together. It was the best time ever! I cant wait to have more adventures with my other puffle's. See you at the puffle party!!" Since a new Snow and Sports catalog comes out next Friday, February 26th, Club Penguin wants to know for next week's Reviewed By You, what sports you and your friends like playing the most around the island. Do you have a team? Be sure and let them know and if they pick your review, you will earn 10,000 coins! Hey mimo! I left your site, came back to it 1 minute later, and this post was here! Cool! i know!! i got up early and im like WHAT THE? yo yo yo Mimo and da gang rox! wow i just updated your page and this post was here, cool, well i <3 sports! yeah me too!! just after i finished my buisness on youtube i updated mimo's site and this post was here!!! Does the party come out at noon? Or is it when ever they feel like it? I'm so confused and so bored waiting for the party. I'll try to find something to do. Have u seen the boxes around cp? the one at the iceberg and at the forest? blue and the other pink i think. cool huh? Yeah, I love when that happens! ___________________TOYSGONEBY____________________ It will come out later on Thursday.. Penguin Standard Time. It is pretty cool.. Except my Reviewed by You is Never chosen! its going to be all over club penguin! phoenix said... nice post!i refreshed the page and there it was..:D ~~~~~~~~~~~~~~~~~~~~~~~~~~~~~~~~~~~slippeestars here cool thats happend to me befor i was on policemans blog and there it was and then a nother came! Quick Question. How rare is a Card Jitsu Golden Card? Ive got two so far. Braceface27 said...Where is the party? Brace face, the puffle party is all around the island. each room is assigned to a different color puffle. I love when that happens! It makes you know Mimo's hard at work all the time. :)...plus you have a chance to be the first comment. The golden card is rare enough to be considered rare :p Just be happy you have one and that should be enough to make you happy :) Either way the cards are rare so congrats on having 2! Be patient it should be here soon, or this afternoon. ___________________________________Yea Boi or girl! True dat my main main buritoto buiscuit! mimo and the gang pwn! I think noon to. 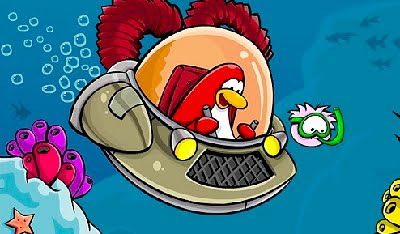 If not we will have to just get used to whatever time the party comes out because hopefully that will be the time for all new things on thursdays (used to be fridays) for a while on clubpenguin. Mimo was already informed of this in the previous post so I don't think he's going to post it. Thanks though for pointing it out to those who didn't see it! Hey Mimo Can i be a mod??? Yup they are! They are for the puffle party tomorrow. Really lookin' forward to it! You can't just ask to be a mod, you have to earn it :) To earn it you have to answer peoples questions consistently, and put (CPG MOD) after your name on every post where you answer a question. good luck and I hope to see you on the list soon! WHOA! NOW THAT IS A GREAT FIND! you can be a mod once you prove yourself by answering to peoples comments- Im trying to become one right now! Ya, thats where they were keeping the stuff for the puffle party! Hey King Ellis! Well, if you scroll down on the right side of Mimos blog youll find the MOD rules. Basicly, you answer peoples questions and be nice. For example, Saavy, she answers peoples questions and she a really good Mod!Good Luck! but i absolutely would love for the new snow and sports catalog to have like a trampoline for furniture item, a table tennis table, basketball net and court and for clothing a basketball costume and thats all i thourght of!!! !